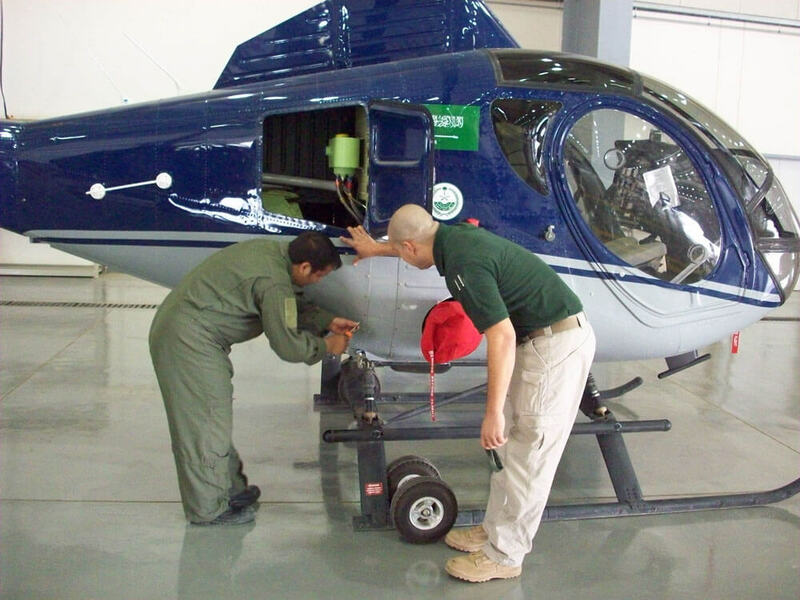 A Skycore Aviation maintenance instructor observes a host nation technician perform a daily inspection. 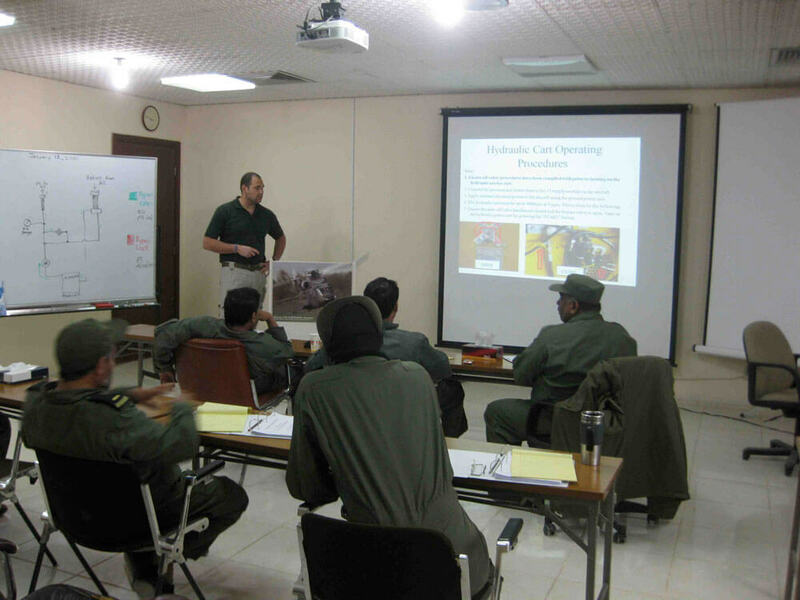 Skycore conducted classroom training for mechanics and avionics/electrical technicians. Take your operational capabilities to the next level with world-class instruction tailored to your mission and environment. Skycore provides comprehensive helicopter training packages customized to each client’s mission needs, aircraft type and budget. We train our clients in their aircraft and in their specific mission environment: desert, high-mountain, over-water, urban or jungle. Skycore deploys only experienced instructors with all appropriate certifications. Instructors ensure customer aircrews and maintenance technicians are proficient and safe operating in day, night or night vision goggle modes.